The Liberty County District Attorney’s office in Georgia has dropped a felony charge against 21 Savage, on which the embattled rapper was arrested in February. A show promoter who paid Savage $17,000 for a September 2016 gig had accused the artist of theft after he failed to perform. An arrest warrant was issued at the time, but officials declined to pursue the charge until this year, when the promoter contacted the local sheriff’s department in the wake of Savage’s detainment by Immigration and Customs Enforcement for unrelated citizenship issues, according to TMZ. 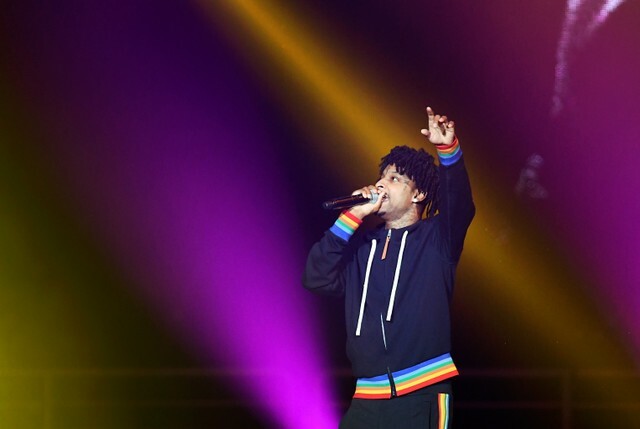 Savage’s attorneys argued the concert conflict was a “civil contract dispute,” and the DA’s office agreed that the matter was not criminal in nature, the Atlanta Journal-Constitution reports. Savage still faces the risk of deportation after ICE accused the rapper, born She’yaa Bin Abraham-Joseph in London, of unlawfully residing in the United States after overstaying an expired visa. He was detained for 10 days after being arrested on Super Bowl Sunday in the metro Atlanta area and was released last month on bond. Savage’s case has become a cause célèbre, earning support from the likes of Jay-Z, Metro Boomin, and Post Malone. His legal team has claimed Savage “never hid his immigration status,” and in fact applied for a new visa in 2017. Since his release, Savage has speculated that his song lyrics criticizing immigration policy may have led to his arrest.